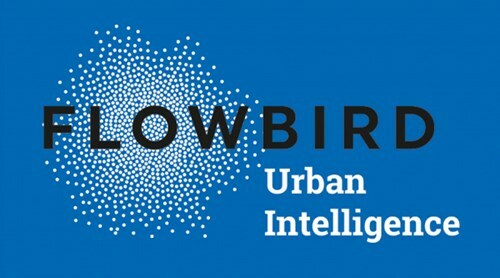 The City of Evanston, Illinois, has partnered with Flowbird Group, the world’s leader in curbside management and urban mobility solutions, to launch a new pay-by-plate parking system in the downtown core. The 80 new Flowbird CWT parking kiosks, supplied by Total Parking Solutions Inc., will replace nearly 1,000 old single-space meters, modernizing the city’s mobility platform. The upgrade comes as the city’s old meters from 2013 are reaching end of life, several needing new parts and freezing up in harsh winter weather. The City of Evanston began the removal of 800 of the City’s 1,600 single-space meters in the beginning of February and rapidly replacing them with Flowbird’s CWT pay-by-plate kiosks. The new solar-powered CWT kiosks are user-friendly with a large color screen and customized interface. The kiosks will function in pay-by-plate mode, instructing users to input their license plate number and parking duration. The user can then complete payment and is not required to display their receipt on their dashboard. Drivers may pay for parking using credit or debit cards, coins, or with Evanston’s mobile payment app, Park Evanston. The Flowbird system is integrated into the same back-office as the mobile app so that enforcement officers check only one interface for kiosk and mobile transactions. As of the first week of February, several blocks have undergone installation of the new parking kiosks, including the always busy diagonal along Sherman Avenue in downtown Evanston. The City plans to have this first allotment of single-space meters replaced by the end of February. The remaining 800 meters reside on slower traffic streets and are planned to be replaced next year. Currently, Flowbird supports over 40,000 parking pay stations for 600 customers throughout the U.S. This project allows the company to continue its rapid expansion across the State of Illinois, where their partner Total Parking Solutions has installed and currently maintains Flowbird kiosks for over 90 municipalities, 5 universities, and 4 private operators. This is in addition to the more than 4,500 Flowbird CWT pay stations that they were recently installed in the City of Chicago.